Sheldon is simply a double panel shaker design. Be careful in designing your kitchen as this design looks a little strange in narrower widths. 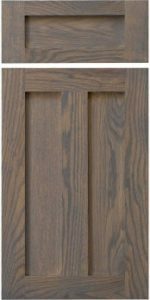 You may need to consider using the Albany door on narrower cabinets.